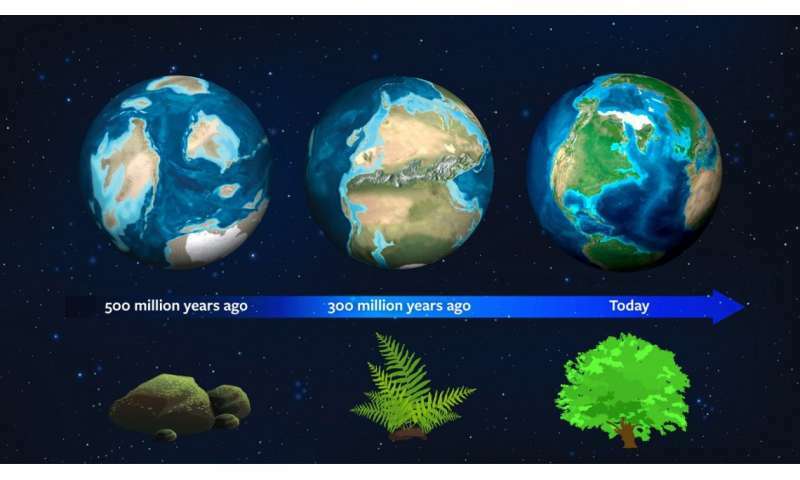 By looking at Earth's full natural history and evolution, astronomers may have found a template for vegetation fingerprints—borrowing from epochs of changing flora—to determine the age of habitable exoplanets. "Our models show that Earth's vegetation reflectance signature increases with coverage of our planet's surface, but also with the age of our planet," said co-author Jack O'Malley-James, research associate in astronomy at Cornell University's Carl Sagan Institute. The research, "The Vegetation Red Edge Biosignature Through Time on Earth and Exoplanets," published online in Astrobiology. Even negative results would be informative. An important issue to keep in mind? Is preventing unverified claims and jumped-to-conclusions from clouding the actual research data . With clickbait headlines from hysteric conclusions.